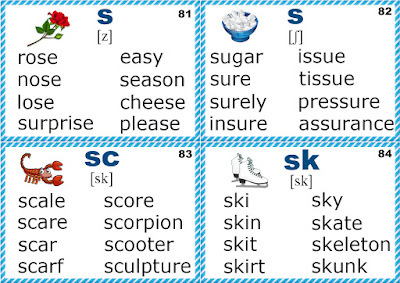 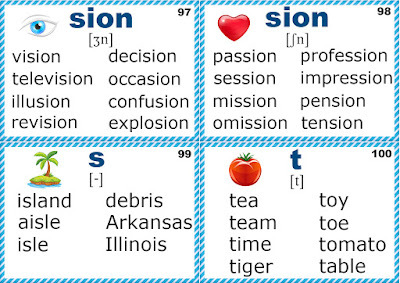 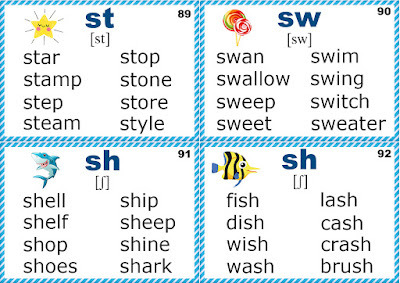 Today I would like to present another group of English consonant flashcards. 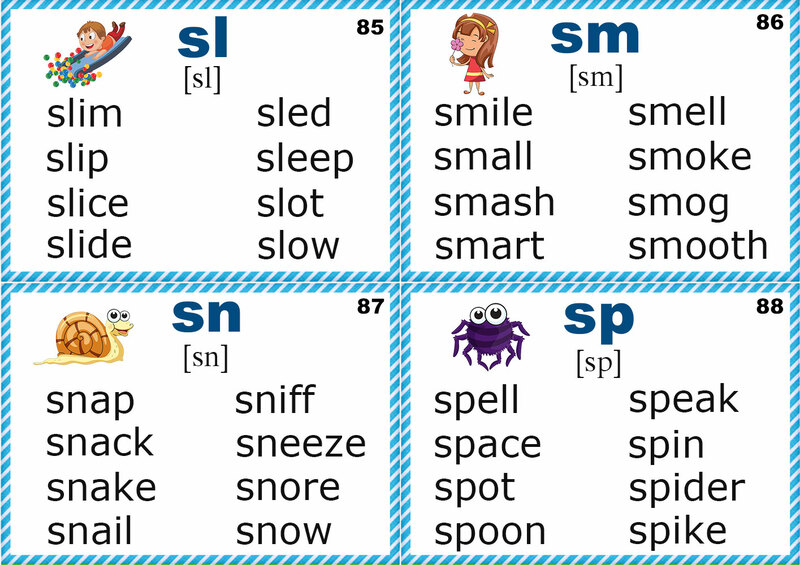 The post contains 23 more cards dedicated to the letter Ss and 1 card with the letter Tt. 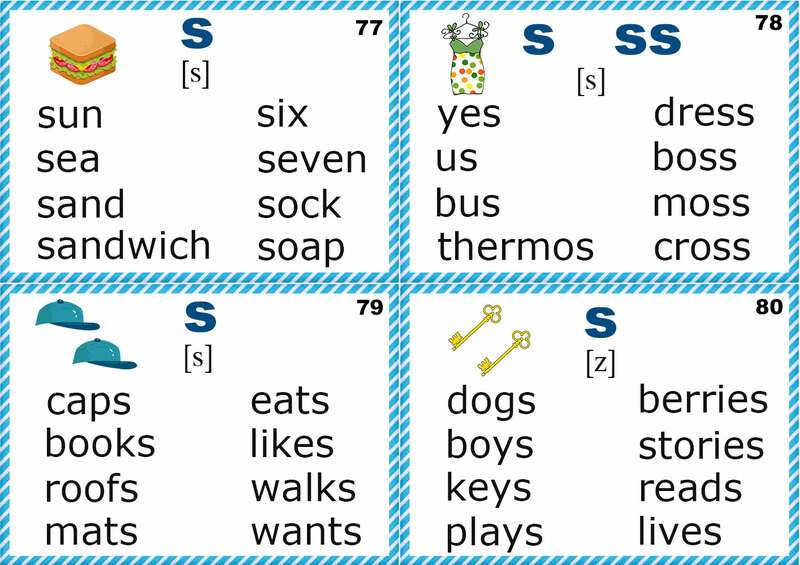 Ss: cards №№77-78 include words with the sound [s] at the beginning and the end of the words as well as when it occurs due to the double ss. 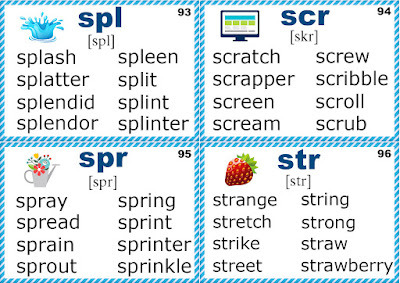 Card №79 contains words where the letter S produces the sound [s] at the endings after voiceless consonants. 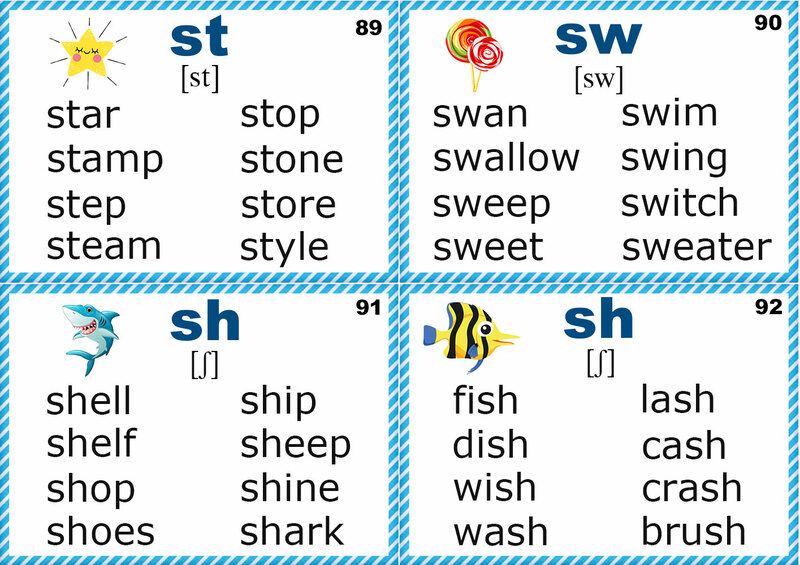 Cards №№80-81 present words in which S gives the sound [z] when it occurs between two vowels and in the endings after vowels and voiced consonants. 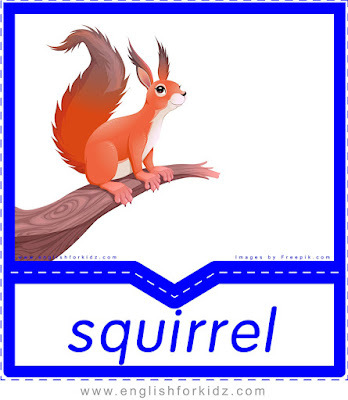 Card №82 offers words in which the letter S is pronounced as [ʃ]. 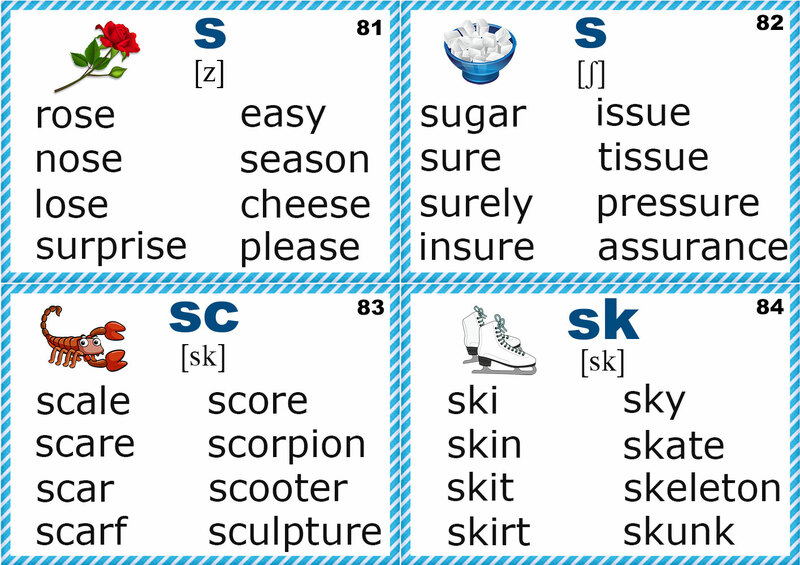 Cards №№83-92 contain the blends sc, sk, sl, sm, sn, sp, st, sw, sh. 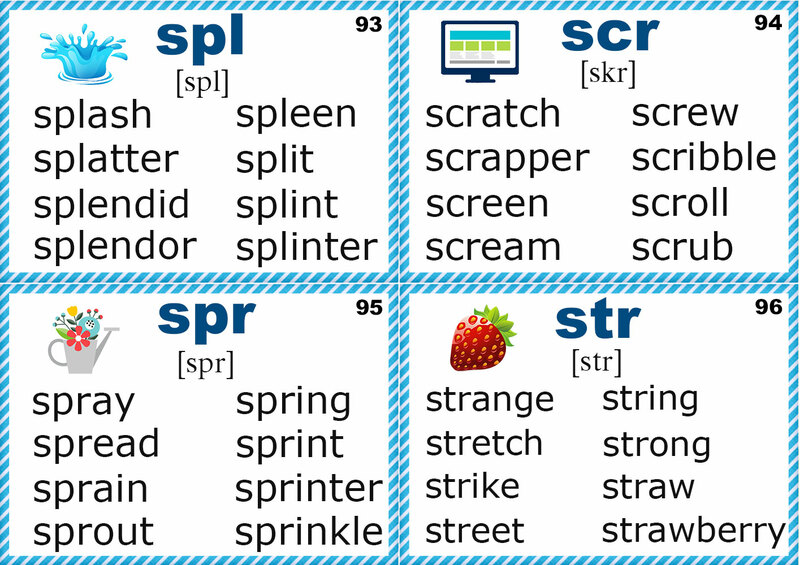 Cards №№93-96 present the three letter blends spl, scr, spr, str. 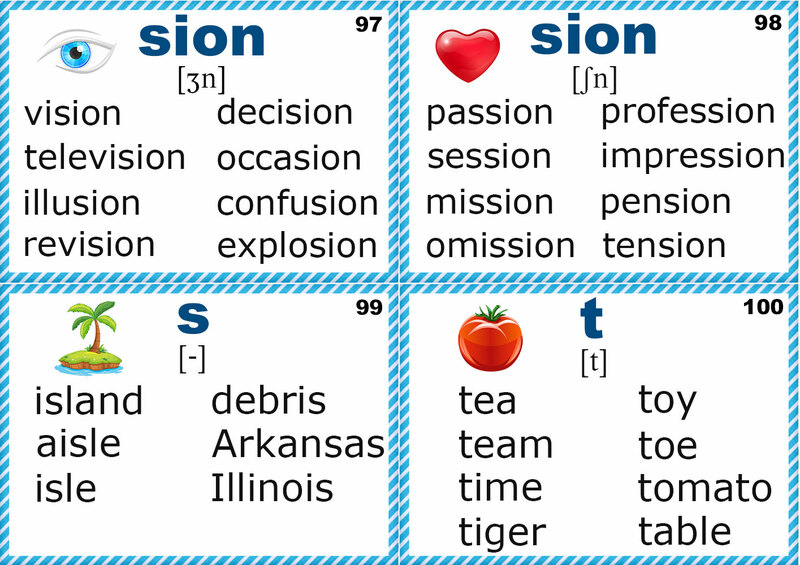 Card №97 presents the phonogram -sion which gives the sound [ʒn] while card №98 presents the same phonogram -sion which gives the sound [ʃn]. 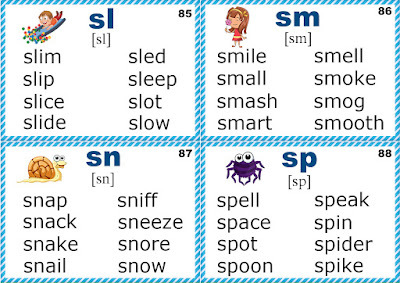 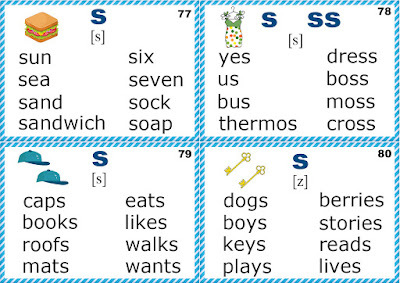 Card №99 includes words with the silent S.